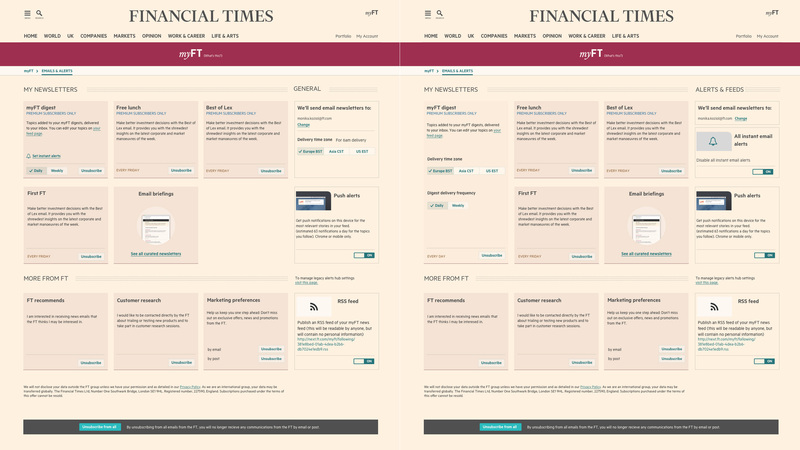 The FT have been preparing for the launch of the new FT website by redirecting an increasingly larger number of the FT visitors to a beta testing website. The target was to redirect 100% by Q4 2016. I was brought in to boost the UX efforts around the subscriber personalisation options and the user onboarding for the new FT website. I worked closely with 4 other UX Designers and owned the UX for “myFT” stream as the project was split to 3 streams (Subscriptions, content and personalisation). 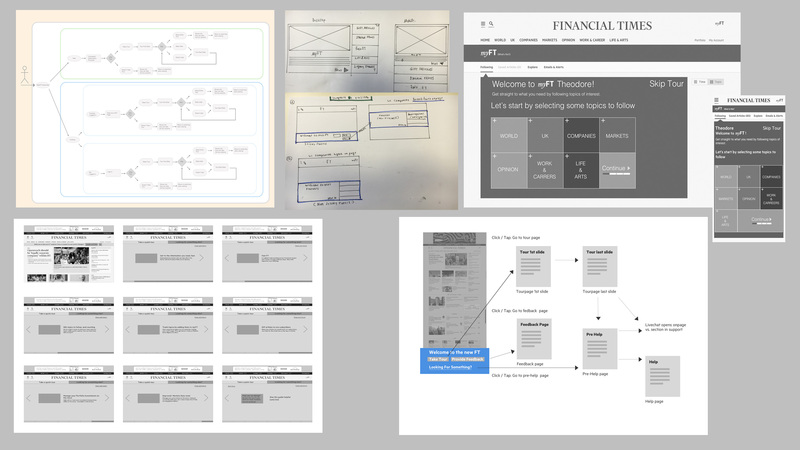 A version controlled style guide (with MVT testing capabilities) was already in place and part of my “mission” was to improve or extend in places by utilising data driven design based on the multivariate testing (MVT) capabilities of the system. 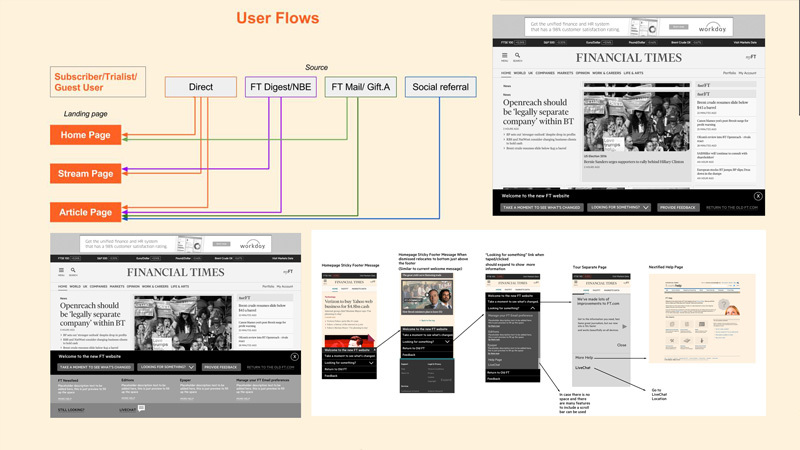 Utilising lean UX and frequent user testing; I involved core team players such as developers and strategists early in the discovery phase and went through several design iterations and design workshops, while leading and testing the information architecture approach for myFT and user onboarding. Balancing customer needs with business goals. Utilising qualitative and quantitative data, from user testing, web analytics, and customer support, MVT testing, focus groups etc, to deliver actionable insights and recommendations. Working with the research team to lead and execute usability studies, testing and competitive reviews. Writing/creating relevant documentation , including personas, wireframes, flowcharts and usability test results as a way of supporting recommendations. 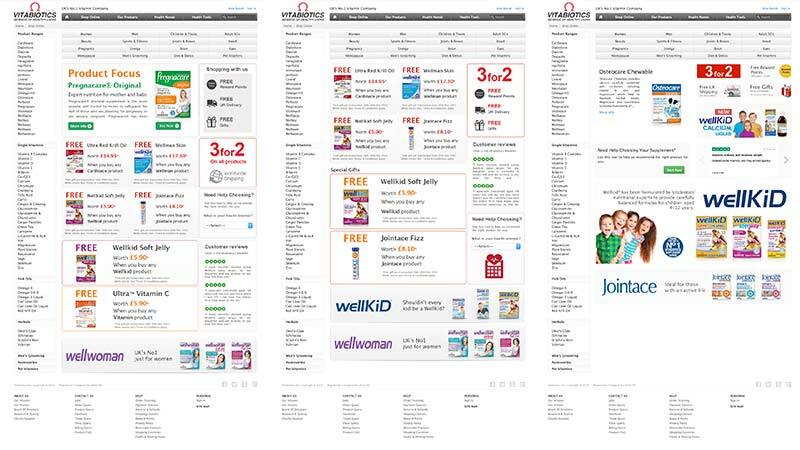 Following usability and accessibility standards. Staying abreast of innovations in UX best practices, tools and topics of interest to the UX community and helping infuse them back into the organisation. 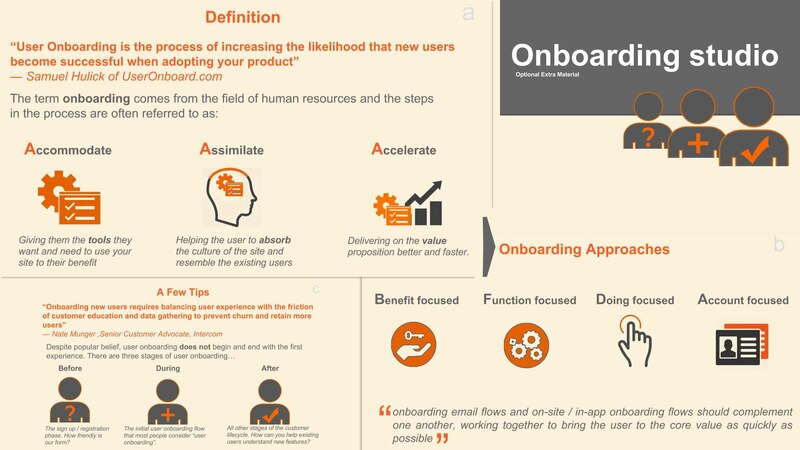 Performance monitoring of “myFT” and user onboarding of new FT website showed significant increase in user satisfaction regarding personalised experience of “myFT” and significantly increased visits to signposted sections of the onboarding tour leading to increased conversion rates.